The Freeman family has been in the tabletop and accessories business since 1956. That was the year when Charles Freeman founded Stanley Roberts Inc. Later, in 1990's, the family sold the business to its partners and Roger Freeman launched Cambridge Silversmiths Ltd. In short time, Cambridge has become the leading flatware source for almost every major retailer, including Walmart, Crate and Barrel, William Sonoma, Pottery Barn, Neiman Marcus, Bed Bath and Beyond, Federated Dept Stores, Saks Dept Stores, Target Stores, Costco, Kohl's, Bloomingdale's, Dillard's Dept Stores, J.C. Penney and Sears Dept Store. 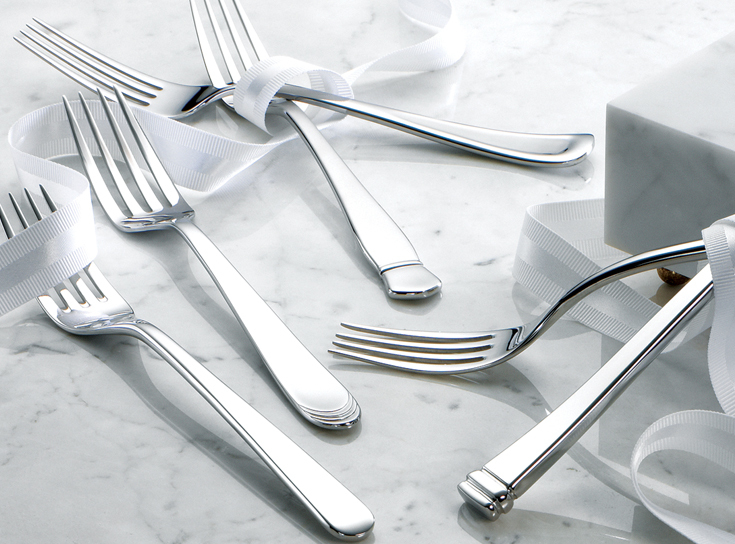 The company markets over 250 different flatware designs in every price range, including 18-8, 18-10 and forged products. It also acts as a licensee for Robert Welch Designs, William Welch, Farberware and Fiesta. Private label programs for whom it designs, manufacturers, and distributes products include the Palm Restaurant, Food Network, Living Quarters, Better Home and Gardens, Cindy Crawford. Cambridge's executive offices are located in Fairfield, New Jersey where it operates a 106,000 sq. ft. warehouse distribution facility, employing approximately 130 people. There are additional warehouse and distribution facilities in Los Angeles, California. The Cambridge Silversmiths Showroom is located in New York City at the New York Merchandise Mart, occupying approximately 3,500 square feet. Cambridge creates original designs for all its products which are manufactured in Korea and China. The entire line of products are produced in over 25 different factories, most of which have done business with Cambridge personnel for more than 30 years. In addition, the company operates offices in Tianjin China.